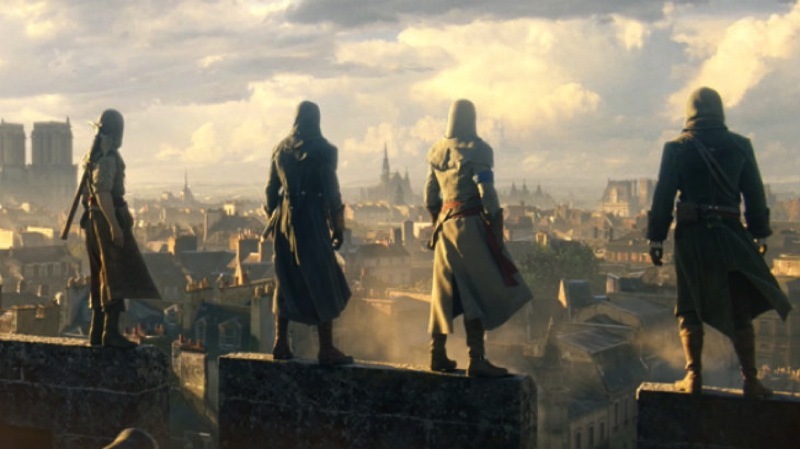 Assassin’s Creed Unity is coming and it’s bringing co-op to the sneaky stabby experience. I really enjoyed the mission I did for the Gamescom demo, and here it has been recreated in video form with full commentary. This was considered an easier co-op mission, and you could theoretically just do it on your own. However, it certainly helps to have some company at times, especially when there are a ton of guards. I really liked how the gameplay felt. The AI feels much more realistic – if guards see you out of the corner of their eye they don’t immediately know where you are forever and ever. The new ghosting concept is really cool and I have a feeling that I’ll be manipulating that a lot. I particularly like that players can take their own routes through the map, using their own approaches to navigate and get to the end point. I was told by my co-op partner that I was very fast because I didn’t bother with the guards above ground, I just timed my movements and raced underground. I kept using the shared sense ability to see where everything was, while my co-op partner happily threw smoke bombs so I could take out guards or sneak by undetected. It was a surprising amount of fun and made me think that playing co-op might actually be a whole lot of fun. Will you be playing both Assassin’s Creed games, or are you only going for one? I’m way more excited for Unity than I am for Rogue; as much as I want to round out the Kenway story, Unity seems like a much more satisfying gameplay experience.